it was awesome experience at Alcazar Show. Though We reached late by 10 minutes because of Songkeran festival but still they allowed us and gave very good seats just 1st row in the balcony. The performances were just breathe taking & outstanding. After the show, we took photos of performers. Famous and at times even infamous for its vivid nightlife, Pattaya is the place to go if you are looking for a night to remember. When you visit Pattaya, you cannot miss going to a ladyboy show and Alcazar Cabaret Show is one of the city’s most famous performances. Open daily, the cabaret offers an exquisite show program that is sure to get you up and dancing. 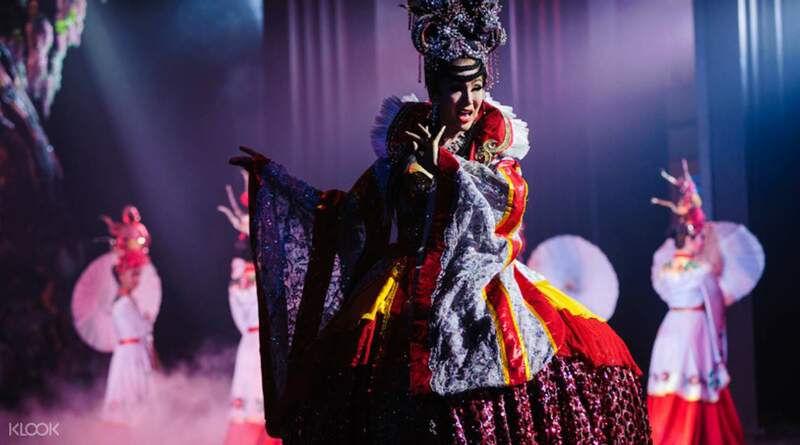 Influenced by Thai, Vietnamese, Korean, American and many other cultures, you'll witness hit performances like Ba Jang, Dance With Me, Oppa It Just My Style, Russian World and more, Alcazar Cabaret Show is a grand artistic delight for all music and dance lovers. 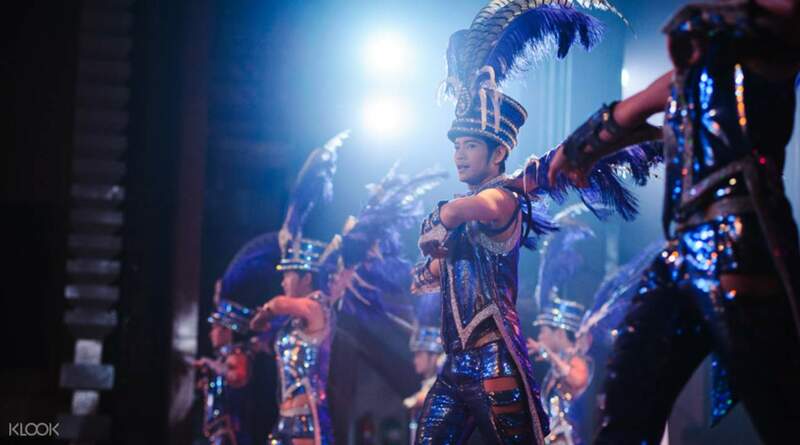 Get your tickets early as the venue fills up fast – make sure you don’t miss one of Pattaya’s most enigmatic shows. You can easily get to Alcazar Cabaret from Pattaya downtown by taxi or tuk tuk - you can show this to the driver "อัลคาซ่าร์ คาบาเร่ต์ พัทยาสายสอง"
it was awesome experience at Alcazar Show. Though We reached late by 10 minutes because of Songkeran festival but still they allowed us and gave very good seats just 1st row in the balcony. The performances were just breathe taking & outstanding. After the show, we took photos of performers. it was awesome experience at Alcazar Show. Though We reached late by 10 minutes because of Songkeran festival but still they allowed us and gave very good seats just 1st row in the balcony. The performances were just breathe taking & outstanding. After the show, we took photos of performers. The coupon redemption was simple , just head towards the counter and show the voucher .It was a one hour long show with acts from traditional thai culture and 1-2 acts with Indian songs . Some of the acts were breath taking , it was worth every penny that I had spent on this show . 40 percent discount through Klook is an amazing deal when compared to the amount that you need to pay at the counter if you go through offline . The coupon redemption was simple , just head towards the counter and show the voucher .It was a one hour long show with acts from traditional thai culture and 1-2 acts with Indian songs . Some of the acts were breath taking , it was worth every penny that I had spent on this show . 40 percent discount through Klook is an amazing deal when compared to the amount that you need to pay at the counter if you go through offline . This was one of the finest Cabaret shows of Thailand. Even if you don't understand the language, you can instantly connect to the story with the music only. You get a free drinks. You get your ticket from an exclusive counter for Klook. Overall, an awesome experience. I might go again. 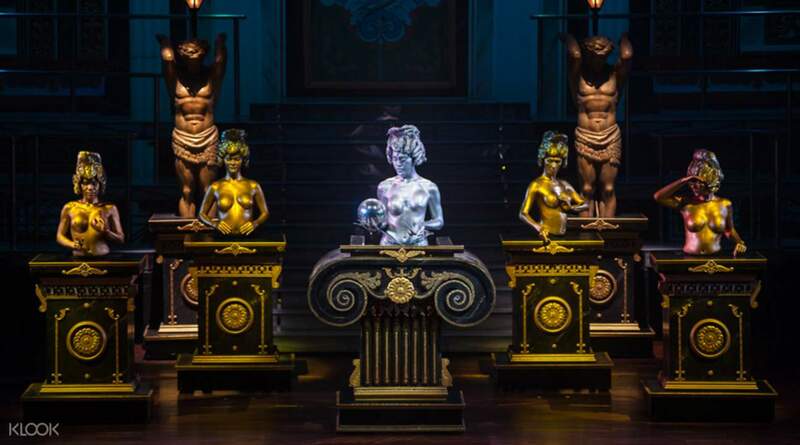 This was one of the finest Cabaret shows of Thailand. Even if you don't understand the language, you can instantly connect to the story with the music only. You get a free drinks. You get your ticket from an exclusive counter for Klook. Overall, an awesome experience. I might go again. It's awesome. I just love the costumes and hair accessories. we had purchased the VIP seats but can purchase the Standard seat.. same view so y to waste the money. I recommend to purchase the Standard seat. It's awesome. I just love the costumes and hair accessories. we had purchased the VIP seats but can purchase the Standard seat.. same view so y to waste the money. I recommend to purchase the Standard seat. The best experience in pattaya. A must watch for first timers as you will be mesmerized by the charismatic colours and action by actor and dancers of the crew for over an hour. Covers dance formations feom asian and some western countries. The best experience in pattaya. A must watch for first timers as you will be mesmerized by the charismatic colours and action by actor and dancers of the crew for over an hour. Covers dance formations feom asian and some western countries. An amazing experience. A one of a kind show. The various themed performances, the costumes of the artists. The settings and lightings will truly amaze you. A must visit when in Pattaya. As an added bonus, at the end of the show, one can take photos with the artists for a price. An amazing experience. A one of a kind show. The various themed performances, the costumes of the artists. The settings and lightings will truly amaze you. A must visit when in Pattaya. As an added bonus, at the end of the show, one can take photos with the artists for a price. 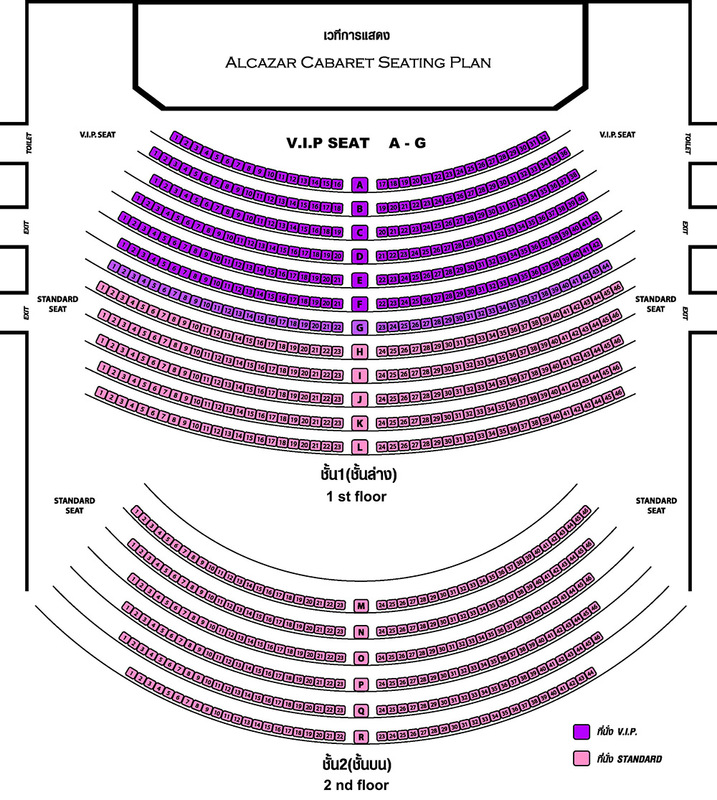 Pattaya is famous for Alcazar show and it was very easy to buy it's ticket from Klook. The plus point was that they gave a very cheaper rates and my seat was right in middle of the hall, 2nd row from the starting. I was feeling like a VIP, thanks to Klook. Pattaya is famous for Alcazar show and it was very easy to buy it's ticket from Klook. The plus point was that they gave a very cheaper rates and my seat was right in middle of the hall, 2nd row from the starting. I was feeling like a VIP, thanks to Klook. Q: Do children need to purchase individual tickets? A: Children will only need to purchase tickets if they are occupying their own seats, and there is no child discount available.